I just finished reading The Forgotten Ways, by Alan Hirsch. Matt Newman paraphrased a section from the book recently at Mosaic (audio download), and when I asked him where the quote came from, he dropped the book on me. Context, proximity and availability are important: I need to be ready to meet the people who are already around me on their turf, and that means I need to make myself available for them on their timeline. I have a long (and bumpy) history with my local church. No matter where I go from here, it involves them. Hirsch does a fantastic job of calling rock-throwers like me to balance. Rather than abandoning the institutional church, we need to call her back to New Testatment models of ecclesiology. I want to launch into something — anything — now at 100 mph… and that’s not constructive, either. I’ll need to exercise restraint and patience above and beyond what I’m capable of or comfortable with. Everyone’s going to be uncomfortable, and that’s OK.
… most established denominations, including the more evangelical ones, are also built squarely on Christendom assumptions of church and therefore, like all institutions, are facing significant threat and need to be led to the edge of chaos. It is there, by living in the tension that it brings, they will find more authentic and missional ways of being God’s people. So leaders, turn the heat up, but manage it. 1. Robert Inchausti relates that Nikolai Berdyaev saw middle-classness at its most debased level as “a state of the soul characterized by a degrading clutching after security and a smallmindedness incapable of imagining a world much larger than one’s own. [For him] the bourgeois didn’t worship money per se, but they were addicted to personal success, security, and happiness. For these things, they willingly compromised their honor, ignored injustice, and betrayed truth, replacing these high values with trite moralisms and facile bromides that blur important distinctions and justify selfish actions. … The word bourgeois became synonymous with mean-spirited wealth, narrow-minded technological know-how, and a preoccupation with worldly success. The cultural ideals of the knight, the monk, the philosopher, and the poet were all superseded by the cultural ideal of the businessman. The will to power had been usurped by the ‘will to well-being.’ … The bourgeois did not repudiate religion but reinterpreted its value in terms of utility. The love of the poor moved to the periphery of the faith and was embraced only insofar as its didn’t clash with one’s own personal economic interests” (Robert Inchausti, Subversive Orthodoxy: Rebels, Revolutionaries, and Other Christians in Disguise [Grand Rapids: Brazos Press, 2005]), 42-43. Several years ago, when I first started planning my career transition from constructing to computering for a living, I sometimes wondered whether and how my construction experience might come into play if I ever were able to leap the gap between industries. One of our customers is a large commercial subcontractor with whom often I worked closely while I was still doing electrical construction. My relationship with their family goes back further than that, though: When I was in junior high school, we bought a couple of market steers from them so my brother and I could show them in our local 4H/FFA events. Today, the second-generation head of the company called me, asking for a meeting to talk with him about technology he can use on the jobsite to further his business. That’s affirming on a number of levels, and I’m excited about where it might lead. Daddy's Got A New Job! Eighteen months ago, I embarked on a new career path. I left behind construction sites and portable toilets. I piled my hand tools in a corner of the garage. I stuck my boots in the back of the closet. I gave away my trusty Carhartt double-front dungarees. I work every day at a little table next to a server closet, with a man whose resemblance to Rain Man is uncanny. I wear khakis and button-down shirts. I get to use real toilets with running water. It's unusual for me to hear profanity in the course of business. I've gotten a lot out of my first tech job. I think my people skills—oddly enough—have developed more than my technical skills have. And it's time to move on. I need to branch out, and this is my chance to do so. I'll make a little more money, but that's honestly not the point. I need to be in a place where I can challenge myself to keep growing, where I'm set up for success. I think my new job improves on my current one in that way. I know I'm a little light on detail here, and that's intentional. I'm making a concerted effort to dial back my public blathering about my job, as I've realized I'm not doing myself or anyone else any favors by revealing everything. I'm sure I'll falter and fall into my old habit from time to time, but I'll keep trying to keep my piehole shut in hopes of keeping my backside out of trouble. This is a somewhat more technical post than you'll often see here. If the title didn't clue you in to that, let this be your final warning: Here There Be Dragons! After a few other attempts, I checked my iPhone's Mail.app, which reported "bad username or password". [I'd like to take this opportunity to thank Cupertino for that really helpful error message.] I checked Fastmail's documentation and found that they do, indeed, block access after > 1000 IMAP connections in an hour, and that they generally attribute such behavior to an IMAP client gone haywire. I only use webmail and iOS 7's stock Mail.app, and I was aware of issues they'd had with OS X's Mail.app, so I fired off a support request. I asked if there were similar known issues with Apple's mobile mail client. We use Fastmail's family email level, so Kristina and I both have accounts, and there's an admin-level account for administering everything. I was able to log in to that account and use it to disable logins to the problem account, change the password to both the problem account and the admin account. I'd just changed both passwords a few days before, after getting the email from Fastmail support saying their servers were patched and certs were up to date after the Heartbleed vulnerability had been made public. I use LastPass to generate complex, unique passwords. I killed all the apps on my phone, shutdown for about 10 minutes, then restarted. Within a few minutes, I was again able to log in to both the web client and Mail.app on my phone. About 10 hours after logging the support request, I received a response from Fastmail, which included two IP addresses from which my client was accessed. Whois told me that one of those IPs is in Durham, NC. An nslookup told me that it's not owned by my ISP. Since I live in Bentonville, AR, that set off a lot of internal alarms. I relayed this information to Fastmail, and reiterated my question about whether the iOS Mail.app has similar issues to the one they experienced around the OS X client. The case got bumped to "developers/admins", who again responded relatively quickly. Fastmail isn't aware of any problems with iOS 7's mail client, it seems. I have to consider the possibility that my account was compromised somehow, but I don't know how that could have come about. My password is strong and unique; it would take a lot of computing power to brute-force it. I changed my account passwords shortly after Fastmail patched their servers/certs post-Heartbleed, so that particular vulnerability can't have leaked my new credentials. I just don't get much spam (maybe 1 or 2 a month), and I haven't viewed any of that, so I'm ruling out phishing and social engineering. I haven't logged in to a public wireless network since the post-Heartbleed password update, either, and my home wireless network is reasonably secure, so straightforward packet capture also seems unlikely. Given all that, I'd think account compromise unlikely...but for the other IP address. A full third of the IMAP sessions were from an IP address in another state, owned by a different ISP. That means two-thirds were right here at home, and can have been originating nowhere else but from iOS' Mail.app on my 5S. My iPhone has been remarkably unstable in the few weeks I've owned it, crashing often, requiring daily restarts; it wouldn't surprise me in the slightest to find that Mail.app was buggy. I've had relatively timely contact with Fastmail support, and they've so far been graciously helpful, even though this doesn't appear to be an issue with their service. I'm continuing to try to break this down so I can figure out better what further actions I need to take. The more I think about it, the more likely it seems that Mail.app is the culprit, but it bothers me badly that I still don't know for sure what happened. How Is She Almost FIVE?! At our little girl’s daycare, every child gets to be the “Star Student” for one week, usually sometime near their birthday. Aylin will be five in a few days (HOW DID THIS HAPPEN‽), so this is her weeks. One of the neat things they do is have each parent write a note to their child, to be read in front of the class. Because the note I wrote is as much about speaking something into her for the future as it is about praising her in the present — and because I know the note won’t make it through the day — I decided to preserve its contents here for posterity. Aylin’s name means “strong and beautiful”. Her momma and I picked that name because we believe that’s what she will become. I’m very proud of her because she has a good heart, and because she loves to help others. She’s lots of fun to hang out with, and it’s a privilege to watch her learn and grow into a woman of character. One year ago, @tm2 and I unwittingly embarked on a remarkable journey. It was on this day in 2012 that the “sinus infection” diagnosed by the local medi-quack began to look ominous. Her headache got markedly worse; she started having muscle spasms in her shoulders and neck; she started seeing spots. As some of you will recall — and as we will never forget — follow-ups with medical personnel confirmed the initial (wrong) diagnosis. It took several days and switching to a different hospital system for us to get to the bottom of her sudden illness. The final diagnosis was idiopathic intracranial hypertension. Teena is now legally blind, having lost 90% of her field of vision in one eye and 60% in the other. She can’t drive, and she’s on long-term disability from work. It would be easy today to focus — if you’ll pardon my visually-themed language — on what we so quickly lost a year ago. But to do so would be to lose sight of the bigger picture of what we gained. Kristina’s always wanted to have the freedom to be a stay-at-home mom, and even though we would never have asked for the circumstances that have made that a reality, it’s been a tremendous blessing for all of us. She’s had room for her creativity to blossom. A wonderful community of women have come alongside her to make sure she can run errands and get out of the house a couple times a week. We are — as a family — happier and more at peace than we’ve ever been. A few months ago, we ordered take-out from a local Asian joint. The fortune in her cookie: “It’s not what you look at that matters. It’s what you see.” We’ve borne out that wisdom in our lives these last 365 days. A great many things that didn’t matter fell away, and an ever-greater number of things that do have been added to us. I couldn’t be prouder of my wife. She is a strong and courageous woman, and I wouldn’t have anyone else by my side for this adventure. If you don’t know her, you’re missing out. My parents bought us a Tandy 1000 from Radio Shack sometime in my early elementary years. Cassette tape drive. BASIC programming. We had a couple of good books — written for kids, even then — on writing code. I devoured everything we had and started getting bored. Whether we couldn’t afford new learning material, or the material didn’t exist, or we were up against the limits of the Tandy and couldn’t afford to upgrade… I don’t know. I do remember — during that same timeframe — going with Dad to the local Apple dealer to look at Macintoshes. And I remember really wanting one. And I know we didn’t get one. And that really was the end of my fascination with computers for quite a long time. Fast forward to now: I’m working full-time in something more or less IT-ish (depending on how elitist your definition of IT is), and I’m working with a lot of embedded systems — multifunction printers, to be precise. Sysadmins everywhere love to hate these things, and I can see why. But they’re fascinating creatures, and as it turns out, they’re buggy, poorly supported and insecure. Over the last few weeks, I’ve become increasingly interested in the (in)security of these devices, and in the piss-poor implementation of network standards most of them bring to bear. Since our manufacturers alternate between actively sandbagging us and passively avoiding us, I’ve taken it upon myself to start learning how these things work. And, as it turns out, there are a couple of languages that get used pretty heavily by security and network types when they’re poking at embedded devices: Perl and Python. Old School, New School. I can hear @doctorlinguist shuddering from here, I’m certain of it. But now something has my interest; it has a real use case, a real problem to solve; and it has legs. Perl and Python are both marketable. And so I found rur-ple. It’s meant for kids. And that’s totally okay with me. I’m starting with Python, and I’ll go from there. Perl and Ruby are on the list, too, though. 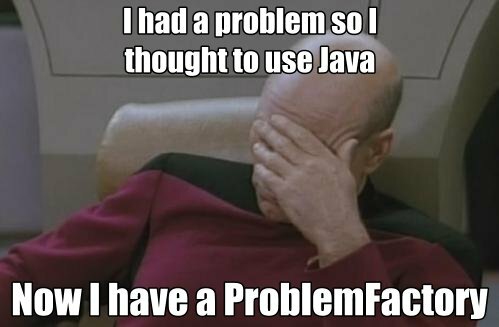 And Java. I know — problem factory, right? But here’s the thing: Java gets used in a lot of embedded devices. And whether we like it on the web or not, it’s not going away any time soon. So. I’m moving forward. I’ve been mulling these ideas for some time. I’ve also had Mike Rowe’s YouTube video in my Pocket queue for at least a few months. Today I finally got around to working through my backlog of to-watch items, and after hearing what Rowe had to say, I decided it was time to write. I’ll warn you that much of this is shot from the hip; spit and polish aren’t on the agenda here. I am an electrician. I worked for more than 10 years in the trade, and while I maintain my master’s license, I’m happy to say I no longer work in that world, having moved into an IT-related business after working for several years to develop skills relevant in that market. My thoughts will take some explaining, so bear with me. I took a great deal of pride in my work, and I still respect a good many of the men and women I worked around. Mike Rowe is different from many who riff on this theme (I’m looking at you, Marco) in that he’s chosen to expose himself to the world of skilled labor. And I don’t disagree with his assessment that America has a “dysfunctional relationship with work”. But Mike — and many others — miss a fundamental reason for the so-called “skills gap”, and it’s neither laziness nor disrespect. It’s economics. I’ve never met a single tradesman — out of hundreds of turd-herders, sparkys and duct-beaters — who makes “60, 70, 80 thousand dollars a year”, as Rowe says is possible. To be fair, I am a non-union electrician and most of my work has been around non-union tradesmen. There is, at first glance, a significant difference in the hourly wage + benefit combination offered a union electrician. Look more closely at the long-term, though, and you’ll see the reality is less rosy. Long layoffs are the great equalizer. Tradesmen spend months at a time out of work. So while a journeyman electrician might make $20/hr., his effective wage over the long haul is likely to be between 50% - 60% of that. For those of you who aren’t very good at math, that works out to ~$20k - $25k/yr, with insurance benefits that are laughable, no retirement or 401k. And all this for a job that is physically demanding, mentally challenging, and not a little dangerous. It doesn’t surprise me in the slightest that companies have a hard time hiring “skilled labor”. What about manufacturing jobs? Now, I’ve never worked in manufacturing, but let’s take off the rose-colored glasses, shall we? Unions, for better or worse, are losing traction in all job markets. Without Big Labor behind you, the wage/benefit equation tilts in favor of the employer. With Big Labor behind you, you’ve more or less signed yourself up to be first on the list for downsizing. Repetitive work in a challenging environment for not much in the way of long-term stability? That’s not very enticing, now, is it? As I alluded to in this post, I'll be closing my Twitter accounts. I'll start the process today by unfollowing everyone — nothing personal, you know — and making both accounts private. I'll then request my accounts be deactivated. Judging from what I've seen from some other folks, that may take awhile. You'll be able to find me posting regularly here, and — for the time being — I'll still be blogging on this site. Over the coming months, I plan to make a number of changes to the way my family and I connect with the world. The first change will be to our email server. Last spring, we quit using our Google accounts for anything except access to Google’s Android application store. I moved all our email, contacts and calendar to a server “in the cloud” that I administer myself. That’s been a successful experiment, and I’m ready to move it into the next phase: Bringing that server down out of cloud and under my physical control at home. It’ll save us a few dollars, too, and that’s always welcome. In addition to bringing the mailserver home, I will be merging my online personae. For a number of years, I’ve maintained a public/private persona split. I’ll begin bringing those together in coming weeks, and eventually all of my email and blogging will move to The Melton Plantation. That merge is as much about consistency and values as it is about simplicity. It’s time everyone who finds me online sees the same picture, for better or worse. I’ll also be closing down Kristina’s eponymous site, moving her email and blog to The Melton Plantation. These moves will, among other things, allow me to continue teaching myself a few new things. I like server administration, and this is going to be a good stretch for me in that respect. I have no experience in building, launching or maintaining personal websites, and I plan to move our blogs off free hosted services (Tumblr and Posterous) to self-hosted solutions. This will give me an opportunity to work with a number of different blogging platforms. My reasoning for consolidating our domains, then, is in part to keep the task manageable. It will also save us some money. Just as I don’t need compartmentalized sharing, having come to realize it’s inconsistent with my other values; I don’t need vanity link-shortening. And so the five domains we now own will point to one for a time, after which four of them will revert to ownership by others. At the same time, I’ll be closing my Twitter accounts, moving to an account at App.net. There are few people with whom I regularly interact only on Twitter, and all of you know how to find me elsewhere. I’ll not go into great detail here about that change. That may best be served by a post of its own, but those of you who know something about my philosophies on technology, privacy and the internet won’t need much of an explanation. The rest of you will be utterly and irreparably confused. [waves at Mom] There are precious few of my close friends and acquaintances who both understand and agree with my positions, so I’ll not waste our time pontificating. My App.net username will likely be changing during this transition, as well, but I doubt that will matter to many of you. If you want to find me there, suffice it to say it’ll be linked from my blog. Kristina will, as far as I know, be keeping her Facebook and Twitter accounts live. I also expect I’ll be implementing significant changes to my mobile connectivity over the coming months. Once the transition is complete, I won’t be checking email, IM or whatever-else while I’m out, and I probably won’t respond to text messages. That will most likely mean you’ll need to pick up the phone, dial my number, and talk to me live if you want to get in touch with me right away. I’m out of contract on our cellphone plan, so it’s a good time for me to consider other options. I don’t need constant connectivity; I probably never did. In fact, I’m not convinced it’s healthy for any of us, but that’s another rabbit trail I won’t chase just yet. I’ve talked about moving to a no-contract pay-as-you-go service with a top-end smartphone — and I may yet do that — but it’s looking less likely by the day. It would be simpler, of course, if I kept the phone number I’ve had for nearly 11 years. But that has its own philosophical and practical implications. So my number is likely to also change as part of this process. In fact, I may eventually take a cue from a friend on App.net, and eschew myself of a mobile phone altogether, in favor of a portable HAM radio. I recognize many of the limitations and complications of taking a step like that, and I understand there are probably issues I’ve yet to consider, so it’s not a move I’ll make lightly. Kristina will — again, as far as I know — be keeping her mobile phone and number. As with the internet-based changes, my motivations here orbit primarily around simplicity and economics. There are deeper philosophical motivations, perhaps, but those aren’t well-formed enough to yet be put into words, so I’ll leave them for now to percolate. I’m still mapping out some of this in my head, and since a good bit of this is new territory, I’ll be taking it slowly. It may be an ugly, frustrating process, during which I expect to curse a great deal, either publicly or privately. So it is with new endeavors, valuable as they may be. I’m posting this everywhere in hopes that no one will worry or get left behind. I may take as little as three months to get all the server work done, but I’d say it’s more likely to take me six. The unused domains will probably (hopefully?) redirect until November-ish, when they’ll revert to other owners. The Posterous and Tumblr blogs may stay live through the end of 2013, solely to point stragglers to the new site. We’ll see. Any phone transition will happen over a relatively short period of time, and is more likely to be sooner than later. Since I don’t yet have an amateur radio license, any moves I’d make to HAM will take somewhat longer. As always, you’re welcome to ask questions. I may not answer them at all, or to your satisfaction. Such is life.